Zirconia (ZrO2) and lithium disilicate (LS2) are among the preferred materials at Smile Designs by Rego for fabricating high-quality restorations. Nelson Rego, one of the laboratory’s owners, particularly likes the durability and high flexural strength of these materials. We sat down with him recently to talk about his experiences in the dental industry and with these materials. Mr. Rego, please tell us about yourself and your dental laboratory? 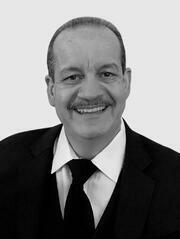 Nelson Rego: My brother Juan Rego and I have owned our dental laboratory in Santa Fe Springs, California, since 1980. 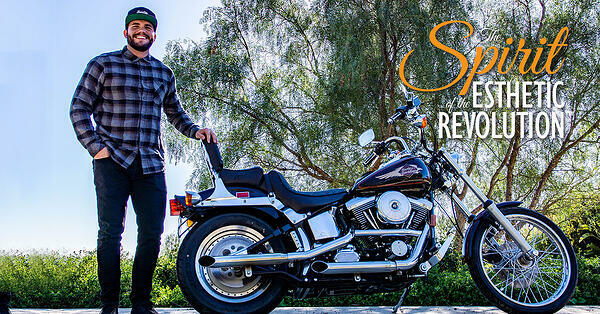 Smile Designs by Rego is a team of 24 people focused on restoring beautiful smiles by partnering with our dentist customers. The principle on which we founded our laboratory, and what drives everything we do, is producing the best work we can for the best clinicians that we can. What does your dental laboratory specialize in, and what are you famous for? Nelson Rego: We’re passionate about and known for our hand-crafted quality and anterior esthetics, and for using materials that deliver outstanding quality, exceptional mechanical properties, and high performance in today’s minimally invasive treatment environment. We cultivated this reputation by offering all types of fixed restorations, problem-solving the ideal ways to restore individual cases with a minimal amount of reduction, and specializing in non-preparation veneers, full-mouth rehabilitations, and implant treatments. How would you describe your relationship with your dentist customers? Nelson Rego: Our goal is to be a resource that our customers feel comfortable using, without hesitation or reservation. We work hard to anticipate their needs, and we spend a lot of time learning the clinical side of dentistry so we can speak the same language as the dentist. Which materials do you use most often in your laboratory and why? Nelson Rego: We have been using Ivoclar Vivadent materials for more than 30 years because these products work; the company’s customer service is outstanding and reliable; and we feel completely supported in our day-to-day laboratory operations. We’re using materials and technologies that keep our products to the Smile Designs by Rego standards, and that’s been very gratifying. High-quality ceramic materials—such as IPS Empress leucite glass-ceramic and IPS e.max lithium disilicate—are among our preferred materials, in addition to high performance ceramics like IPS e.max ZirCAD zirconia. IPS e.max lithium disilicate and IPS e.max ZirCAD are extremely esthetic and durable, so it shouldn’t be surprising that they comprise the bulk of our business. 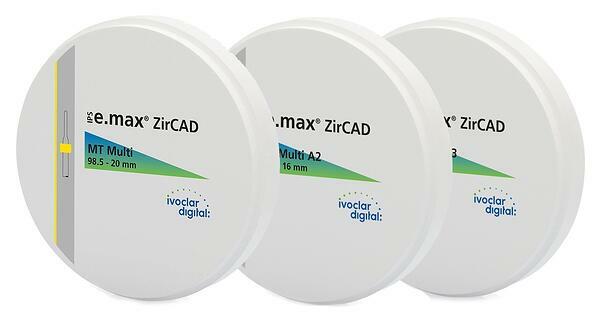 In fact, IPS e.max ZirCAD’s high flexural strength facilitates the production of many restorations for us. Are there specific technologies that help you maximize the benefits of these materials? Nelson Rego: Digital technologies have allowed us to optimize our day-to-day business operations and streamline our processes considerably, enabling us to concentrate much more on the esthetic aspects of our work. 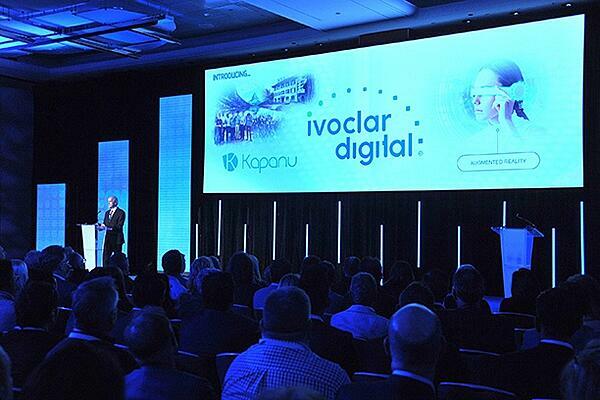 Therefore, digital processes and manufacturing methods have become very important to us. With the advent of Ivoclar Vivadent’s PrograMill PM7 mill, we’re seeing a finish on the margin that’s synonymous with hand waxing, and I’ve never had a mill capable of doing that before. The PM7 mill does everything that artistic ceramists and technicians want to do, but in a faster and more efficient manner. The PM7 has actually helped our efficiency, and the esthetic quality of our restorations looks as fantastic as it ever did. In what other ways can technologies like milling units help dental laboratories be more efficient? Nelson Rego: In the 39 years that I’ve been in business, digital processing and manufacturing methods have really changed significantly. When we first started milling restorations, the way we had to finish the margins of milled restorations resulted in chipping; the restorations didn’t have the hand-crafted esthetics we wanted; and/or I felt the quality suffered. The neat thing about Ivoclar Vivadent’s PrograMill PM7 mill is that it was designed around the materials, rather than having the mill be adapted for milling or grinding a specific product. That’s a very different way of doing things or thinking compared to other CAD/CAM machines we’ve had in dentistry. Additionally, if laboratories want the capability of milling restorations over the weekend, overnight, or when personnel aren’t on site, then they really need a milling machine with a disc changer. The PrograMill PM7 has an 8-disc changer capable of milling eight different materials, wet or dry, and can self-clean itself. 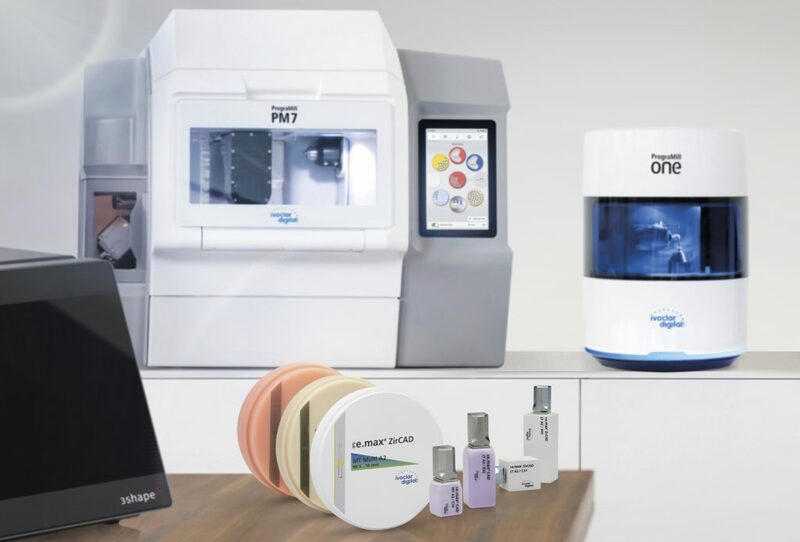 This gives laboratories the benefit of a milling machine that manages everything it needs to do, allowing technicians to return to the laboratory and have 24 IPS e.max units, 180 zirconia units, 50 wax units, or a combination of units waiting for them—something that couldn’t happen before. How do you think dentistry will change in the next 5 to 10 years? What tasks will be performed digitally, and which will remain analog? Nelson Rego: The current trend in dentistry is clearly pointing toward minimally invasive treatments, but minimally invasive restorations are hard to produce digitally. However, we are likely to see further innovations in digitally processed materials. For example, zirconia is already suitable for many more restorative options than it was just a few years ago, which probably explains why the demand for zirconia restorations has increased recently, and not only in the US. Although I anticipate that approximately 90% of all restorations—such as bridges, crowns, or dentures—will be produced digitally, I do not believe that everything will be processed digitally, or that digital processes will be employed in every procedure. Dental laboratory technicians will still be of paramount importance for performing—and will always remain essential for—the final artistic tasks that require their manual skills and esthetic expertise. Additionally, I think the biggest change in dentistry will be the incorporation of digital impression taking. The sale of intraoral digital impression scanners will grow rapidly, much faster than sales of milling machines. What can and should laboratories and technicians do to prepare themselves for dentistry’s digital future? Nelson Rego: A great way for dental laboratory technicians to prepare for the future is learning how to design restorations digitally. Larger restorations are much more difficult to design digitally than smaller ones, and experienced technicians will still be required to properly evaluate what they are seeing on the screen. Dental laboratories and their technicians will also need to build a team of manufacturing partners around them of who understand what it’s like to be a dental laboratory. They’ll want to ensure that their partners provide great products, back them up if they experience an issue, and offer exceptional customer service and on-site support. Nelson Rego, CDT is the owner and manager of “Smile Designs by Rego”, an advanced dental laboratory specializing in ceramics in Santa Fe Springs, California. Nelson and Juan Rego, CDT, established the laboratory in 1980. Mr. Rego is a certified dental technician, who studied with some of the best dentists and ceramists in dentistry today. 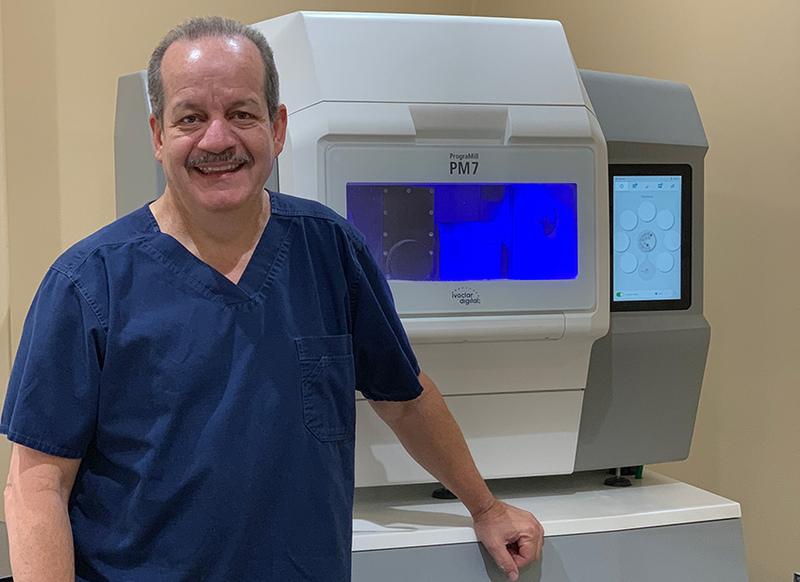 He is an Accredited Member of the American Academy of Cosmetic Dentistry (AACD) and was the first technician to serve as the Chair of Accreditation. He has written over 70 articles pertaining to dental materials and techniques, which have been published in many of the leading dental journals. He is also an evaluator and opinion leader for several dental product manufacturers and he is the co-creator of “Microthin Veneers”, a non-invasive approach to cosmetic dentistry.